So after a book-barren 2009 my 2010 continues to be full of page turning action. As promised back in January I’ve been riding the fiction-train to try and understand what it is that makes folks devote hours of their own lives to the adventures of people who don’t exist. Let’s start with the big news; this is the only book that has ever made me cry. Not huge sobs or rivers of tears, but certainly a big lump in my throat and an emotional breakdown that delayed me from eating my vegemite on toast one morning to the point where it went cold. No mean feat, Mr Chabon. 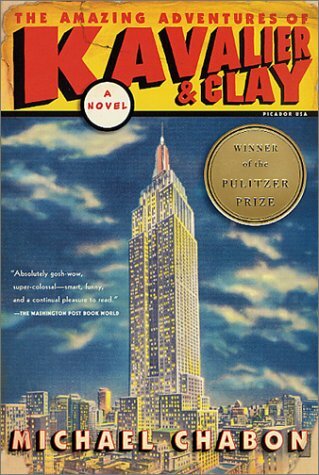 Kavalier and Clay is broadly about the eponymous heroes, Josef (Joe) Kavalier and Sammy (Clay) Klayman, two young Jewish cousins whose lives are brought together when Joe is forced to flee his native Czechoslovakia for New York because of the Nazis, leaving his family behind. Sammy is an obsessive devotee of the burgeoning world of comic books, whilst Joe is both a gifted artist and amateur magician. Merging their talents and interests they create the Escapist, a costumed super hero for their times, dedicated to ‘the liberation of all who toil in chains, whether of iron or ideas.’ When their comic book starts to sell they cement their fortunes and reputations but whilst the fictional Escapist is liberating the people of Europe from Hitler and the Nazis, Joe and Sammy struggle to escape from their own personal demons. To say anymore would risk spoiling the many twists and turns that Chabon skilfully sets up and reveals with the occasional swish of his magician’s cloak. 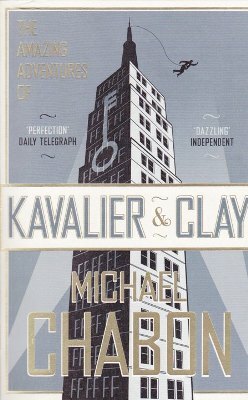 Part social history, part war epic, part mystery, Kavalier and Clay is fundamentally a fractured but beautiful love story which leaves you caring passionately about the fates of all concerned. The book’s strengths lie in the complexity of emotions behind the actions of Sammy, Joe et al as well as an impressively researched and wholly believable recreation of the 1930s and 1940s. 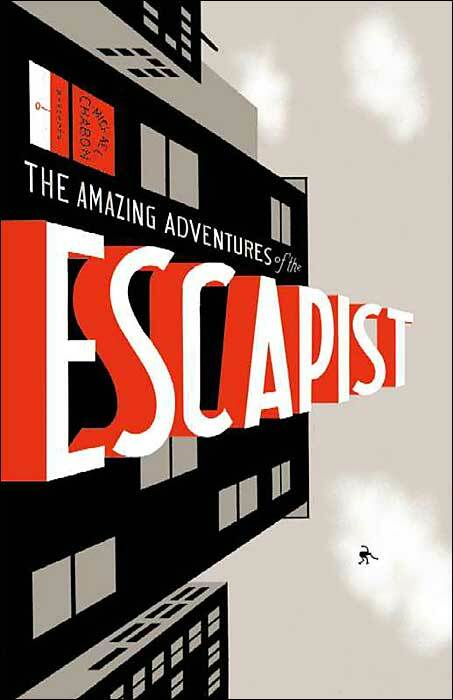 Neat tricks like referencing the Escapist as an actual comic contemporary of the newly-created Superman (similarly dreamt up by two young Jewish Americans) and mirroring Joe’s escalating personal battles with the build up to America’s involvement in World War II mean the period setting of the book is integral to the plot rather than just a device to talk about the war again.